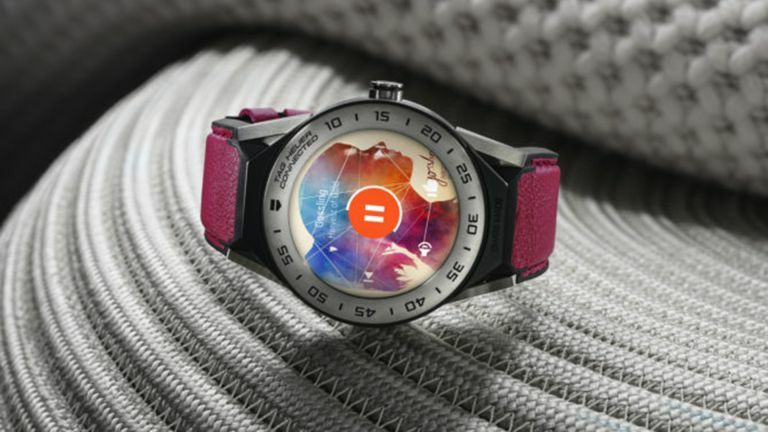 Tag Heuer took Android smartwatches to the next level when it revealed its super high-end Tag Heuer Connected Modular 45 and it’s doing it again with a smaller sibling called the Tag Heuer Connected Modular 41. Alright, the names of these smartwatches are a little longwinded and the prices are too high for many. However, the new Tag Heuer Connected Modular 41 is smaller and slightly more affordable than the original model but still offers all the features, upgraded. The new Tag Heuer Connected Modular 41 is, as the name suggests a 41mm strap width design, compared to the previous model’s 45mm form. For downsizing the price drops from £1,200 for the 45 to £1,050 for the new 41, in spite of better specs. The new Connected Modular 41 also features a slightly smaller watch face meaning a smaller screen. This is a 1.39-inch AMOLED display at 390 x 390 resolution for 326 ppi and 350 nits brightness. This is encased in a 2.5mm thick scratch resistant sapphire glass cover and features touch controls plus can be submerged in water up to 50 metres. Powering the smartwatch is an Intel Atom 34XX processor backed by 1GB of RAM and 8GB of storage. A 410mAh battery should mean up to 25 hours of life with “normal usage”. There’s also a whole host of sensors and smarts including an accelerometer, gyroscope, tilt detection sensor, microphone, vibration haptics engine, ambient light sensor, GPS, Bluetooth 4.1, Wi-Fi 2.5Ghz, and NFC payment. All this is controlled by the Android Wear operating system which is compatible with Android phones and iPhones. The Tag Heuer Connected Modular 41 has nine different straps available to make the experience modular. There will be seven models available with customisable lugs as well as the straps. While the Tag Heuer Connected Modular 41 is available to buy now the website specs don’t match the press release, suggesting an error since they’re the same as the older 45 online (copy and paste fail?). The press release gives a UK price of £1,000 so it might be worth waiting to see if the current site price of £1,050 drops when it’s corrected.